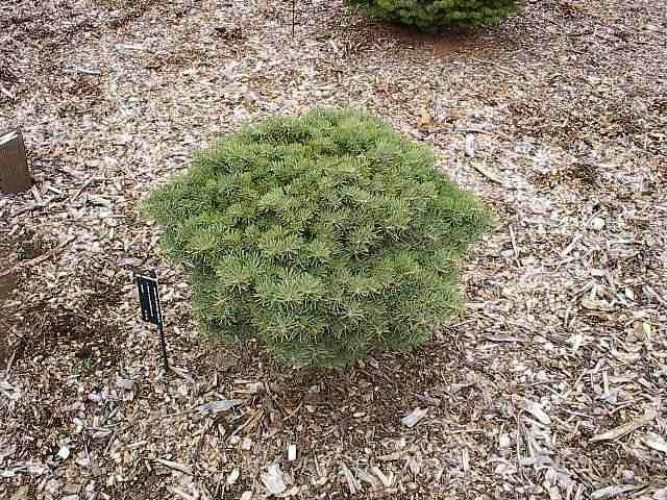 Abies concolor 'Rockford' is a minature low mounding bun shaped form with short Blue-green needles. Abies concolor (Rockford) This photo was taken in The Harper Collection of Dwarf & Rare Conifers, MSU Hidden Lake Gardens, Tipton Michigan in April 2003. This plant was 11 years of age on that date.